Hi there, I'm Fawzia!! 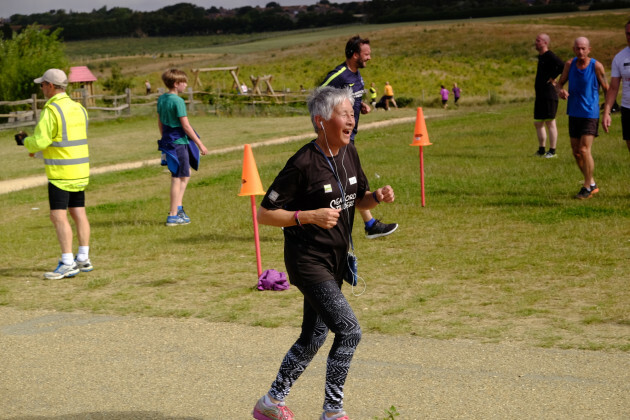 Having never ever run in my entire life, I decided last year, when I turned 70, that I would take on a new challenge and start training for a long race with the ambition to raise much needed funds for mASCot. mASCot is an amazing Brighton based, parent-led network of nearly 500 families that helps young autistic people and their parent carers. My grandson is autistic, he and his whole family have been supported by the mASCot community, and have benefitted enormously from all the projects and activities they provide. Belonging to this has been life changing for them and for hundreds of families like them. I want to do everything I can to help mASCot continue to do its incredible work, so on Sunday 14th April, I will be, at 71 years old, taking part in my first long race! Please contribute whatever you feel you can and help me to help mASCot. Thank you for visiting our Givey page. When you make your donation through Givey, the Charity receives 100% of the donation. Your details are safe with Givey and donating is completely secure. Whatsmore, they never share your email address with any third parties except the Charity you donate to.